Many international treaties come into force only after a minimum number of countries have signed and ratified the treaty. Minimum participation constraints are particularly frequent in the case of environmental treaties dealing with global commons, where free-riding incentives are strong. 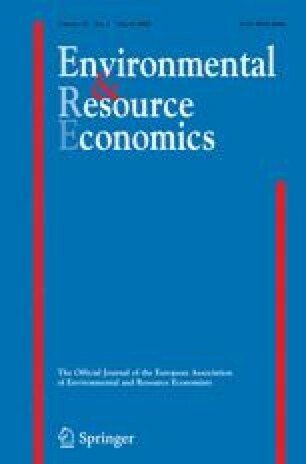 Why do countries that know they have an incentive to free-ride accept to “tie their hands” through the introduction of a minimum participation constraint? This article addresses the above issues by modeling the formation of an international treaty as a three-stage non-cooperative coalition formation game. Both the equilibrium minimum participation constraint and the number of signatories—the coalition size—are determined. This article, by showing that a non-trivial partial coalition, sustained by a binding minimum participation constraint, forms at the equilibrium, explains the occurrence of minimum participation clauses in most international environmental agreements. It also analyses the endogenous equilibrium size of the minimum participation constraint.